Okay, hold onto your trousers because the story behind Blu E Cigs is by far the most interesting and entertaining we have come across. Blu was founded in 2009 by serial entrepreneur Jason Healy. 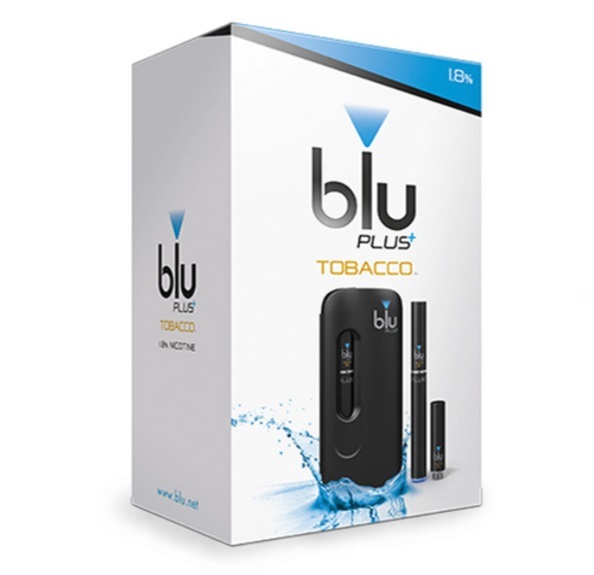 It gained a massive following in the U.S. – so much so, that a short three years later, Blu E Cigs were sold to tobacco giant Lorillard for a whopping $135 million…in CASH MONEY! Then, only two years later, Lorillard merged with Reynolds Tobacco and Blu was shockingly divested (another Big Tobacco company, Imperial Tobacco Group PLC., started controlling the rights to Blu after the merger of Lorillard and Reynolds). 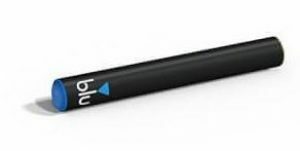 Blu was the market leader in e-cigs in the U.S. and it wasn’t even close. We can’t for the life of us understand why these Big Tobacco companies would sell off Blu, especially at a time when their tobacco sales were drastically declining. E-cigs was the fastest growing segment for Lorillard. But that’s a separate story. Then, Imperial Tobacco created a subsidiary called Fontem Ventures which now controls Blu. This is excellent news for vapers. As long as Big Tobacco isn’t directly involved in product manufacturing, we are happy. As you can see, a lot has changed since 2009 for Blu. Have their products continued to get better or have they just stayed afloat due to an endless amount of advertising money? 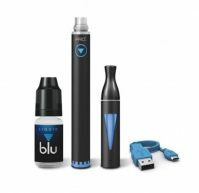 Let’s take an in depth look at Blu Electronic Cigarettes. Battery Performance: Three types of kits – cig-a-likes and vape pens available. Max 1100mAh battery. Performance of roughly 4-5 hours. Vapour Volume: Average vapour volume. Great for beginners to the e-cig world. Throat Hit: Strong and consistent throat hit, resembling a traditional cigarette. Flavour Quality: Five flavours available in cartridges or e-liquid bottles. Well above average quality. Made in USA. Authentic taste. How can we be negative about the original innovator of e-cigarettes? We can’t, and here’s why. 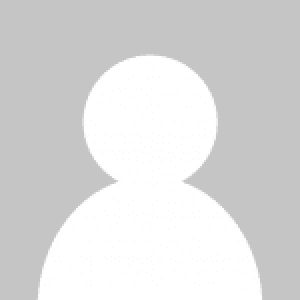 We will be honest: in 2009 when Blu launched, their products, from a performance standpoint, were awful (they have since changed drastically as we will get to below). It wasn’t really their fault – it was the beginning of the e-cigarette market and they were just beginning to learn the ins and outs of electronic cigarette engineering with a small budget to boot. So what drew millions of people to Blu E Cigs? Their design and packaging, of course. Blu’s design was considered to be a game changer. It was the first all-black and shiny device on the market. Couple that with their glossy blue logo plastered on it, along with a blue tip that lights up when you inhale? It was the coolest e-cig money could buy and is still one of the hottest on the market from a design standpoint. Their packaging was pretty standard but they have since upgraded to a nice hard cardboard box that displays their logo, the product and nice artwork to compliment the images. However, the thing that stood out the most was the actual product when you opened the box. It looked like a real pack of cigarettes. They were the pioneers of this trend. Overall, you will not find a sleeker and cooler design than that of Blu Electronic Cigarettes. Blu has come a long way in regard to overall performance, especially when it comes to their batteries. Blu offers two different types of batteries that vary a significant amount in regard to performance. They offer a cig-a-like battery for their cig-a-like kit and a 1,100mAh battery for their vaping kit – both automatic batteries. In regard to their cig-a-like battery: it has certainly been upgraded from their older version. You no longer have to take any primer puffs to see any vapour. The responsiveness is likely the factor that Blu improved upon the most with regard to its battery. Secondly, you can expect about 225 puffs on a full charge (about 4.5-5 hours of standard vaping usage). Though this is very slightly above the industry average, it is a sizable upgrade from years ago. It’s a very convenient device for people looking for a cig-a-like and one we recommend. Additionally, both of their cig-a-like kits are a PCC so you never have to worry about power. However, here is where Blu E Cigs really delivers. Their 1,100mAh battery offers roughly 10 hours of vaping usage and about 500 puffs. If you are looking for a vape pen, this certainly holds its own weight. Charging times for the cig-a-like battery is only 2 hours from dead to full and about 4 hours for the 1,100mAh battery. 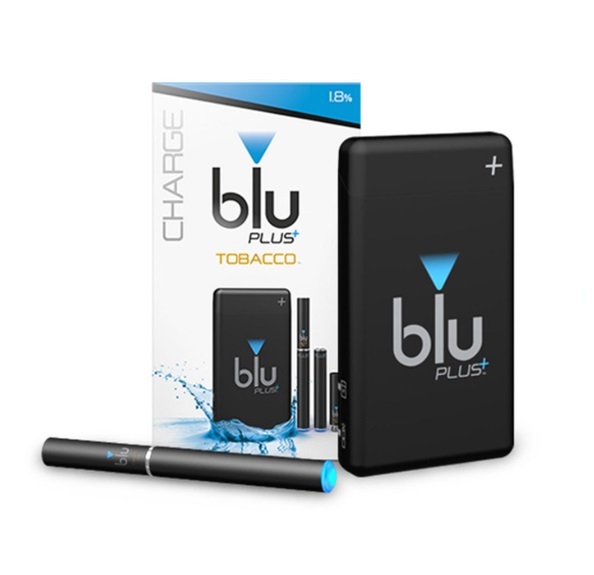 As for vapour volume: we have yet to see an e-cigarette company perform better than Blu in separate categories. What do we mean? Generally speaking, a solid company is good in one specific area (i.e. cig-a-like, vape pen, box mod, sub-ohm, etc.). Blu, though, offers excellent options for both beginners and intermediate users. The vapour volume on their cig-a-like kit is somewhere between a real cigarette and Green Smoke’s giant cloud. If you are a beginner, we recommend this option due to a familiar feeling. The vapour volume on their vape pen is substantially better due to the higher powered battery. It offers an incredible amount of vapour for a vape pen. The only downside to Blu is that there is a tiny bit of “air flow” when inhaling. Nothing crazy but if you like a tight hit, this is something to keep in mind. There is much to say about Blu’s flavours; where do we begin? 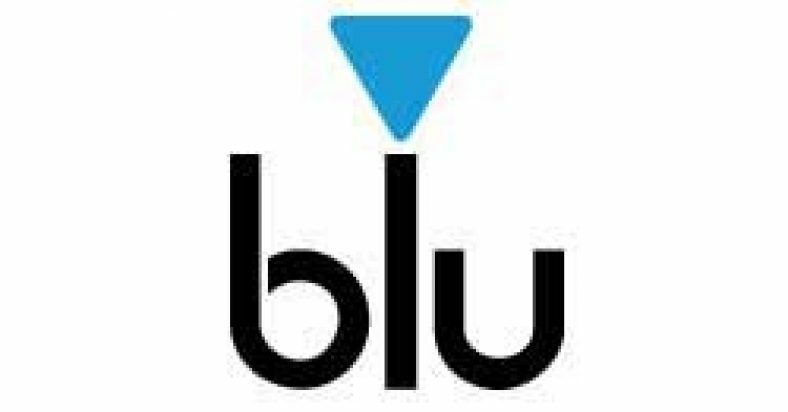 For starters, Blu is the only company we have come across where we prefer their pre-filled cartridges over their e-liquids. Their cartridge flavours are perfect for beginner customers – smooth and relatively potent. 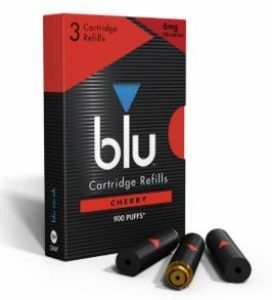 Like most big e-cig companies, Blu doesn’t want to overwhelm their customer base, so they offer just a few selections for their cig-a-like kit. This proves to be a very good option for beginner users. Flavours available for their cig-a-like kit are Tobacco, Menthol, Cherry, and Blueberry (recommended). Blu used to offer Strawberry & Mint, Tobacco Light, Tobacco Regular, Tobacco Bold, Menthol Light, Menthol Regular, Menthol Bold, Rich Tobacco Light, Rich Tobacco Regular, Rich Tobacco Bold, Tobacco Gold Light, Tobacco Gold Regular, Tobacco Gold Bold, Cherry Light, Cherry Regular, Cherry Bold, Vanilla Light, Vanilla Regular, and Vanilla Bold, but they have since discontinued these. 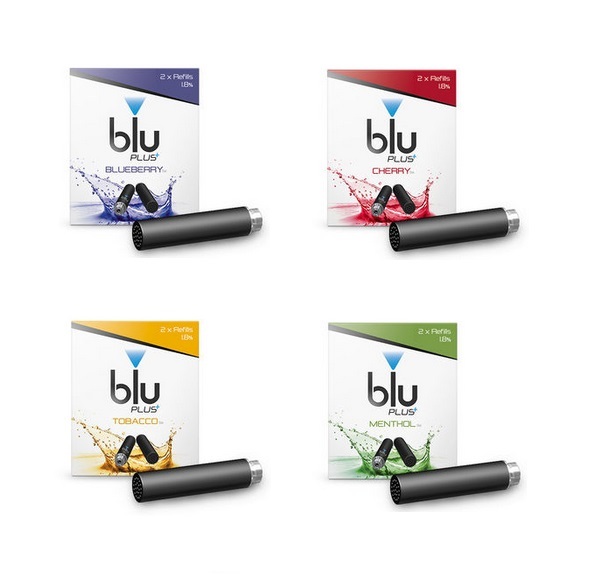 Blu also offer a range of variety packs so you don’t need to commit yourself to one flavour when starting out. Their e-liquid section does not offer as many options. You can choose between Tobacco, Menthol, Cherry, Blueberry, and Strawberry Mint. However, you will see more puffs from Blu’s e-liquid than other brands (per mL). The quality is well above average but if you are an advanced user, you are probably looking for VG e-liquid which is something Blu does not offer. Otherwise, Blu’s e-liquids are certainly a top choice. 0.9% equivalent to 9mg (offered on their PLUS+ kits). Good for light smokers. 1.8% equivalent to 18mg (offered on their PLUS+ kits). Good for regular smokers. 18mg offered and compatible with their standard and PLUS+ kits. 12mg offered and compatible with their standard and PLUS+ kits. Good for casual smokers. 6mg offered and compatible with their standard and PLUS+ kits. Good for ultra-light smokers. 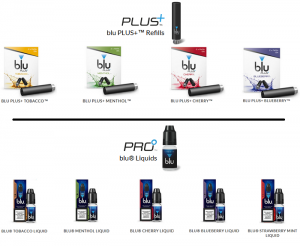 0%, 0.9% and 1.8% nicotine levels are also offered on Blu’s e-liquids. When it comes to support, Blu offers excellent service. They offer an email form on their website where you can write in. You can also call them, free, or email them directly at support@blu.co.uk. They have a ‘Product Questions’ section that can answer many potential inquiries you may have. They do not, however, offer live chat. They are, though, active on all social media platforms. There is no information on the website regarding hours, however we at E Cigarette Reviews UK have found out that Blu operates normal working day hours and are closed on the weekends and holidays. Honestly – we were taken aback by Blu’s pricing. Quid for quid, Blu is probably the best value on the market. PLUS+ Slide Kit £14.99 1 PCC, 1 USB charger, 1 battery, 2 cartridges. PRO Kit £19.99 1 1,100mAh battery, 1 Clearomiser, 1 USB cable, 1 10mL bottle of e-liquid. PLUS+ Charge Kit £29.99 1 PCC, 1 USB cable, 2 batteries, 2 cartridges. Again, the cartridge prices are very attractive while the e-liquid options are a bit pricey. Overall, we are satisfied with Blu’s money back guarantee – 14 days, for whatever reason, on unopened packages. Due to hygiene reasons, we cannot reasonably expect them to accept the return of opened packages. You must email them in or call them in case you do want to return your product(s). Additionally, Blu covers the cost of the return which is a big deal in this industry! As for their warranty: it covers the lifetime cycle of the battery (60 days). If the product is damaged upon arrival, you are eligible for a replacement free of charge. Blu’s shipping is fantastic, as expected. Orders are shipped on working days. If you place an order before 3PM, it will be shipped out that same day via Royal Mail First Class and generally arrives the next day. Yes – Blu understands that we need our nicotine! There is a £2 charge for orders under £35. All orders over £35 come with free shipping. Moreover, Blue has an auto ship program which is also a big deal. If you plan to purchase from Blu for quite some time, we strongly recommend this option. If you are looking for a cig-a-like option, Blu is your choice. Their PCC kit allows for an endless amount of power. The vapour volume resembles an analog cigarette while their cartridge flavours are noteworthy. Furthermore, the nicotine hit is one of the most impressive features for Blu. 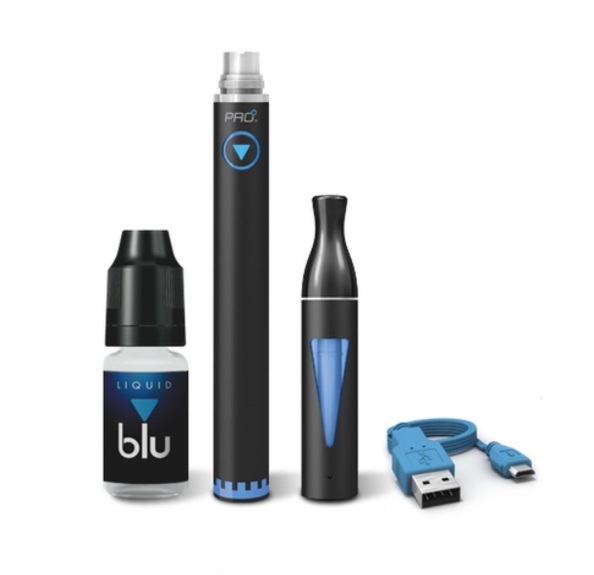 Especially if you are looking to enter the e-cig world, Blu is the one for you.